Angela Ahrendts has plans to initiate a major restructuring of Apple's Retail stores to promote better customer service and to streamline operations, reports 9to5Mac. At the current point in time, stores are organized into geographical regions, but Ahrendts wants to restructure, instead grouping stores based on sales volume and customer demographics. This means that stores will now be grouped by how much of certain products they sell. This will heighten customer satisfaction and streamline Apple retail operations as now similar stores will have similar leadership and similar promotions. This move is not designed to institute John Browett-likely sales targets, but it is planned to create even more tailored experiences to individual stores. In a letter sent to retail employees earlier this month, Ahrendts said she plans to "focus on and evolve the customer journey online and in our stores." She wants customers to "feel surprised and delighted" by a personalized Apple experience. 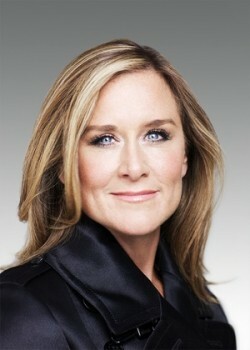 Ahrendts has already restructured some of the retail executives working under her to streamline her department, and along with expressing interest in a redesign of the "end-to-end Apple Store sales experience," she may also have plans to focus on an in-store mobile payments solution and furthering Apple's business in China. Ahrendts is expected to oversee the opening of 20 new Apple Stores in China through 2016, along with a new high-profile store in Italy and new locations across the United States. [url=https://www.macrumors.com/2014/06/16/apple-angela-ahrendts-restructuring/] At the current point in time, stores are organized into geographical regions, but Ahrendts wants to restructure, instead grouping stores based on sales volume and customer demographics. I've been through this in Michigan, with Macys. Live in a predominantly wealthy area? You get presented with one kind of Macys. Live in an area with a range of incomes? You get presented with an entirely different kind of Macys, unkempt and not stocking the products one would expect out of "Macys". The overall effect is to greatly dilute the value of the brand, since the company presents a different level of customer experience depending on location, all under that same brand name. And as a customer, it REALLY grates you to be presented a shabbier store in your locale, all by intent. Like I said: NOT. GOOD. Hey Ahrendts - You want to create a different customer experience? Simple - start up "sidecar" brand names.... Want to target fashionistas? Call the brand "Candy Apple", and put THOSE stores where they make sense. A store that handles high-end AppleTV gear? "Golden Apple". Simply EVERYTHING is done to maximise profit. Will this revamping be an improvement for customers? Highly unlikely. The best way to maximize profit is to make things better for your customers. Eh. Macys has a lot more products than an Apple store. I think you might be looking at this wrong. I'm sure all stores will have the same baseline for stock, and they will all sell all Apple items like they do right now. But, if you have a store that say sells a lot of Macbook Pros, then they may start keeping more different variations (HDD, Memory, etc) in stock than they do now, possibly keeping an eye on the BTO's that are delivered to the store. -Crowded - almost impossible to move at peak times. -Condescending - the flip side of the last one. They will treat you like a newbie even if you are long time customer and insist on explaining basic stuff to you at length. -Too familiar/casual - last time I bought a MBP from an Apple store, spending well over $2000, they never said "thank you" or "have a nice day" or anything like that. Even when I first said I would like to purchase it, the response was an indifferent "ok". They are trying to be hip and casual, but it can come across as disrespectful and unappreciative. I know lot of people feel the same way. Everyone I know groans when they have to visit the Apple Store for something. Arendt should focus on making the retail stores a positive experience again for both newcomer and fans alike. Thanks for this, it's an excellent example of how that restructuring might turn out. I've definitely noticed the difference in Macys stores in different regions -- hopefully Apple doesn't go that extreme. Wow lots of words in that 9to5Mac article to basically tell us that Ahrendts is going to reorganize retail leadership based on sales volume instead of region. Does Gurman think if he adds more filler to the story it will seem more important? I can get to 5 Apple Stores within an hour of where I live, and I've enjoyed going to them. They are a Mecca for even non-apple users, and if the plan is to change them to suit the geographic location, then that will sour the experience in my opinion - getting different experiences in different stores. It would be extremely stupid if they didn't do this already. To be honest, I have no idea what the writer is trying to say. How can you group stores based on sales volume? What does that even mean? When I worked there a few years ago, stores were grouped based mostly on their location. This put the incredibly small mall store that I worked at in the same "group" as some of the flagship stores in NYC. To me, that means the folks (HR, logistics, operations, marketing) responsible for that market have to deal with smaller, more rural stores, as well as the bonkers busy NYC stores. Things that work well for one group don't necessarily work well for the other. Maybe it'd be easier for folks managing groups to do a better job if all of the stores in their "group" were similar. Don't bother the group that's managing the super-busy flagship stores with also being responsible for managing a few stores that don't fit that model, when "geographic location" is the only thing the stores have in common? Or a store that sells a lot of Mac Pros has staff who actually know a thing or two about, say, video and who know what GPUs are beyond a tech spec item to blurt out at sales time. All these armchair retail experts here are so amusing. Why don't you send your resumes to Apple. Maybe Angela will hire you and then you can poke holes in all her plans.